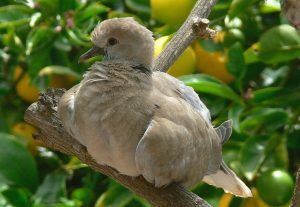 Eurasian collared doves are widespread in Europe, Asia, parts of Africa and North America. They are masters at colonizing any new territory they go into. Accidentally introduced to North America in the 1980s and now have significant populations in Texas, Oregon, California, and Arkansas in the United States and also in some parts of Canada, including British Columbia. Size: These birds are usually around 13 inches from the beak to the tip of the tail. Weight: Their weight is usually between 4.4 and 8.5 oz (125-240 g). Wingspan: The wingspan measures around 19 to 22 inches (47-55 cm). Color: Their color ranges from a light brown to a gray-buff. There are white patches on the tail, and there is a thin band of black crescent on the back of the neck, which looks like a collar, giving it its name. Eurasian collared doves have a very wide extent of distribution. They live in Russia, Turkey, Turkestan, China, throughout the Middle East, Iran, India, and Sri Lanka. Populations have also spread to Japan, the United States and the Caribbean. These birds inhabit suburbs, forest edges, farmlands, and open country. They are not migratory, but do have a very high rate of dispersal. Eurasian collared doves are not wary of the human population, often staying and feeding close to populated areas. They are rather social and form large flocks in winter around areas with ample food supplies. Flocks typically consist of 10 and 50 individuals, but flocks of up to 10,000 birds have also been documented. They live on seeds, berries, and insects. They may also take bread crumbs given by humans. 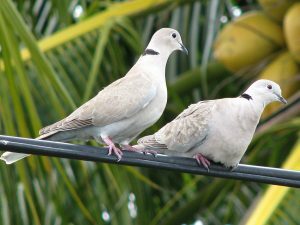 Eurasian collared doves are a monogamous species. There is no set breeding season, and breeding occurs throughout the year when there is an abundance of food. The male advertises himself through flight displays and is eventually chosen by a mate. 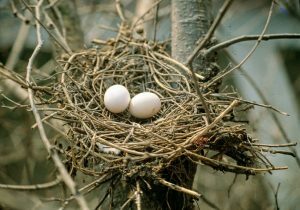 The female lays two eggs, of white color which are then incubated by both parents, the male during the day and the female during the night. 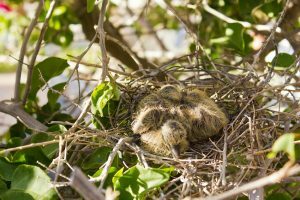 The Incubation period lasts for 14-18 days. 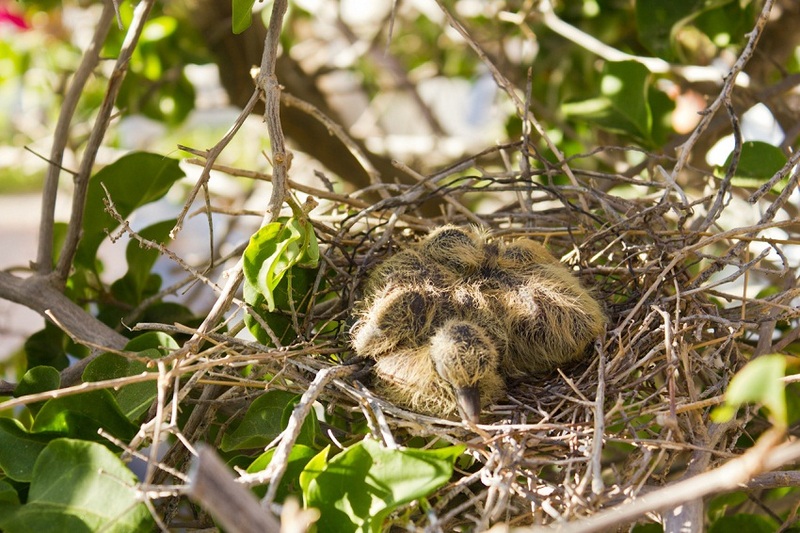 The hatchlings fledge after around 15 to 19 days after they hatch. The mother may have the next set of eggs in the nest even before the previous brood has left. They usually have 3-4 broods, but the record number of broods stands at 6. 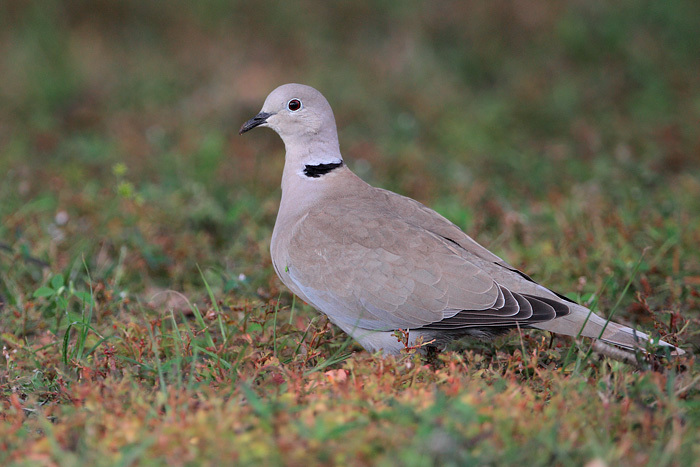 The oldest known Eurasian collared dove is believed to have been 13 years 8 months old. They have a melancholy coo-coo-coo song and a harsh, loud screech. They use the latter in flight, particularly just before landing. This is one of the few birds that can drink water without having to stop to let the water go down their throat. Their beaks allow them to drink water as if they were drinking with a straw. Parents feed their hatchlings with a substance produced in their crop, known as crop milk, which is rich in fat and protein. 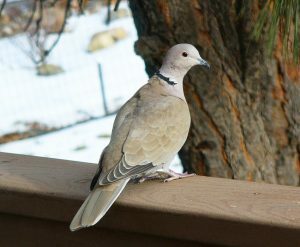 Owls routinely prey on Eurasian collared doves. 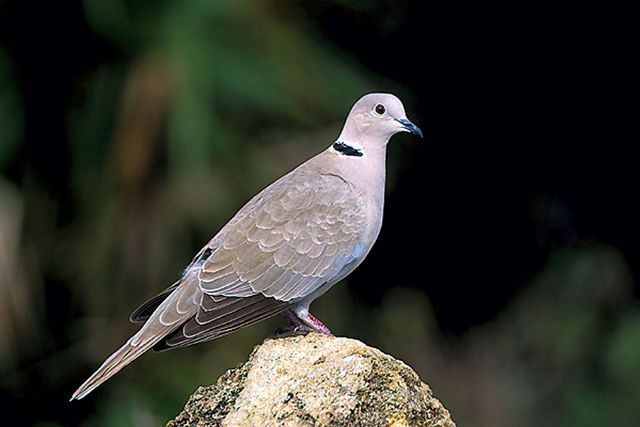 The Eurasian collared dove is listed as ‘Least Concern’ by the IUCN. These birds are considered invasive pests across most of the range where they have been introduced. Its scientific name decaocto, is the Latin for 18 (deca: 10, octo: 8). 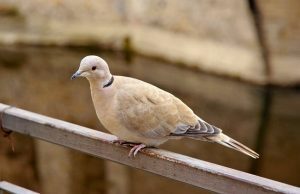 As per Greek mythology, a servant used to complain about her meager pay of 8 pieces per year, so much so that the gods changed her to a dove, one that still cries on mournfully. 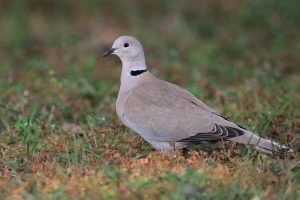 In the United States, the Eurasian collared dove is a popular game, and hunting seasons for this bird happen every year. They are also kept as pets in some parts of their range.